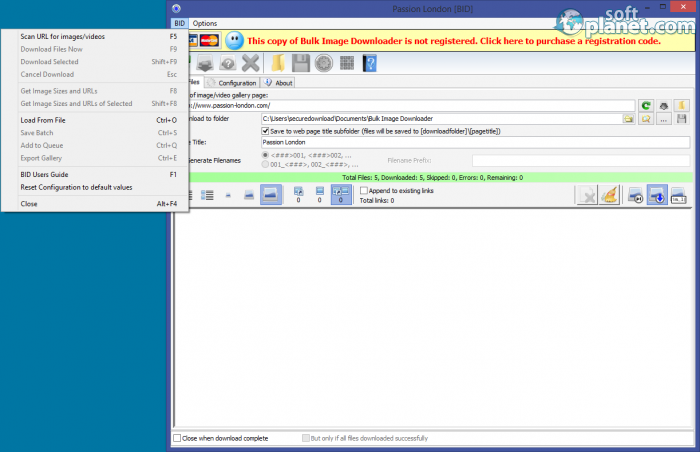 SoftPlanet makes it possible for everyone to get free Bulk Image Downloader download directly from our servers. There is no registration needed for downloading. ...the quickest & easiest way to download web galleries. 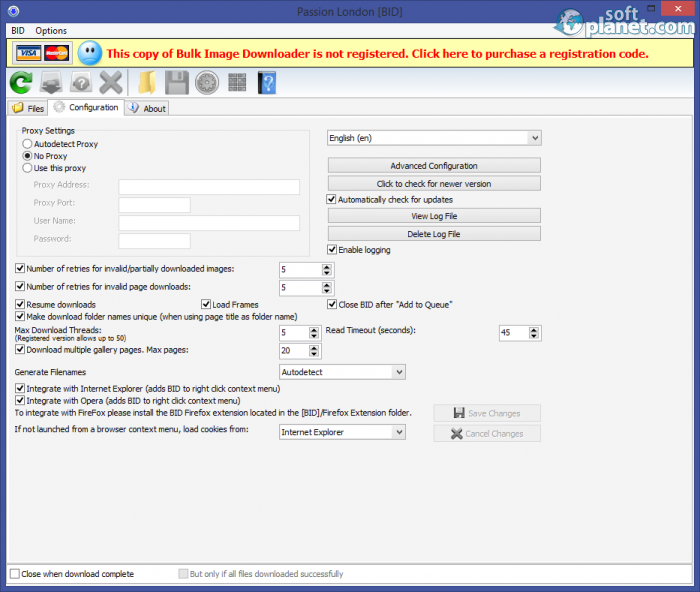 Bulk Image Downloader 4.74.0.0 is software, designed with the single goal to assist you with downloading entire photo galleries within a single click. It save you the most valuable resource – your time. Bulk Image Download can download images from almost any webpage out there. Unlike most similar apps on the Internet, Bulk Image Downloader v4.74.0.0 supports videos as well. Thus you don't need to use separate software apps. Before downloading anything, you are able to configure the software within a few seconds only. Basically, you need to determine if the link leads to an image gallery or video. In addition, you are also able to choose a output folder. Regarding its look, Bulk Image Downloader have a simple, yet functional interface. On top you will notice several large buttons like Scan, Download, Cancel Download, etc. Below this action bar, you find three tabs – Files, Configuration and About. The first one includes the field, you need to paste the photo gallery link and choose the out folder. At the bottom, you can actually get a thumbnails of available images on the provided link. In addition, please keep in mind that this software offers a floating icon, which you can use for opening a new software instance. Working with Bulk Image Downloader 4.74.0.0 is not difficult at all. Its main working process is as easy as a five-year-old kid can handle it. Regarding to its image website compatibility, you will happy to learn that this software is developed to work with the most popular image services on the Internet. Thus you don't need to worry about anything. 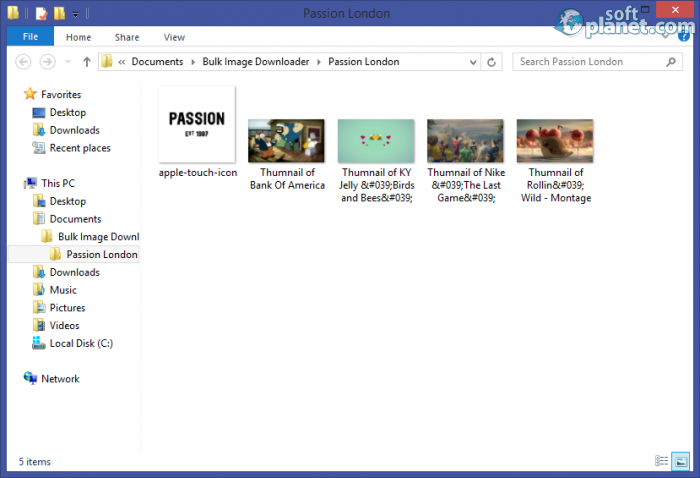 Bulk Image Downloader works very smoothly and you can get results within a second. Literally! Bulk Image Downloader is a great software solution, in case you need to download multiple photo or clips from a particular website at the same time. Its trial version might come with a few restrictions, but it still enables you to take advantage of its functionality. Bulk Image Downloader is VIRUS-FREE! Our security scan shows that Bulk Image Downloader is clean from viruses. The current version of Bulk Image Downloader has been scanned by our system, which contains 46 different anti-virus algorithms. That ensures that Bulk Image Downloader 4.74.0.0 is 100% safe for your computer.